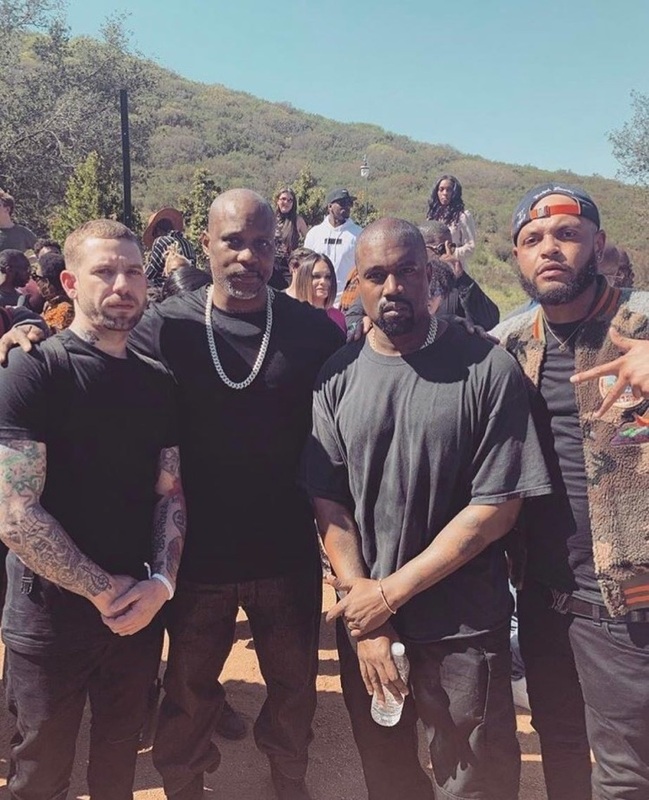 Rapper Earl “DMX” Simmons delivered a powerful prayer about God’s favor during Kanye West’s growing and exclusive “Sunday Service” event over the weekend, declaring his love for Jesus and how God is now opening doors for him that were once closed. West’s Sunday Service began in January and includes prayer and live music, usually provided by a gospel choir, the Cheat Sheet explains. The choir usually sings versions of West’s songs such as “Jesus Walks,” “Father Stretch My Hands Pt. 1,” and “Lift Off,” with West himself leading the musical portion of each service. Every attendee is reportedly required to sign a Non-Disclosure Agreement. On Sunday evening, West’s wife, Kim Kardashian, who along with others have been teasing recorded clips from the event over the last few weeks, published a recording of DMX powerfully declaring God’s favor on his life and spiritually vanquishing his enemies. https://platform.twitter.com/widgets.js“I am blessed and highly favored by You (God). I’m the object of your affection. Your favor surrounds me as a shield and the first thing that people come in contact with is my favored shield. Thank you that I have favor with you and man today. All day long people go out their way to bless and to help me. Doors that were once closed are now open for me,” DMX declared in the clip released by Kardashian-West on Twitter. According to the Cheat Sheet, the locations of West’s Sunday Service tend to vary but it appears they have been getting increasingly larger due to growing popularity. Services have been held in West’s studio at his home in Calabasas, California, wooded areas of Los Angeles, as well as at the Adidas headquarters in Portland, Oregon.